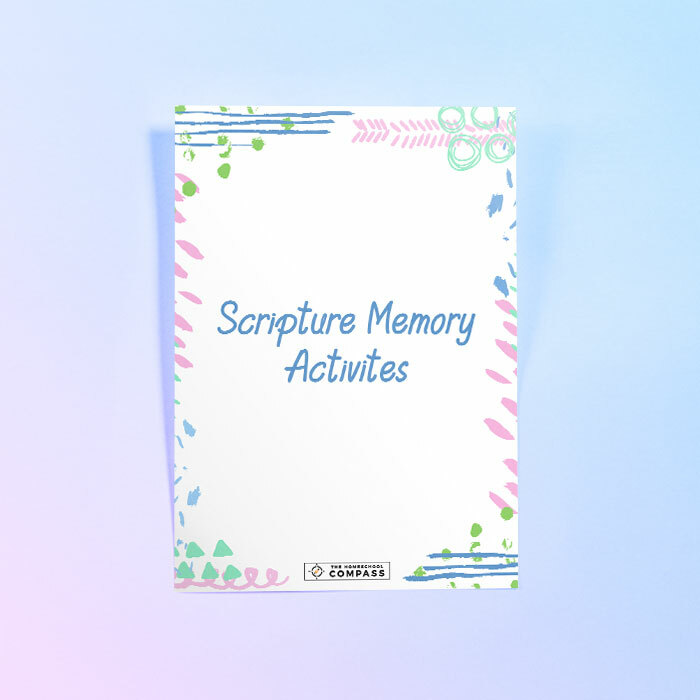 Encourage your children to memorize Scripture and “meditate on it day and night!” This packet features 19 character-building Bible verses (NKJV) – a shorter version for younger students and a longer version for older students. There’s a set of cut-out flashcards for each level, a check-off chart to mark progress, and two lined handwriting sheets (one large-ruled and one wide-ruled) for copywork practice. Plus you’ll find tips and suggestions for how to make Bible memory a consistent and engaging part of your family’s life.